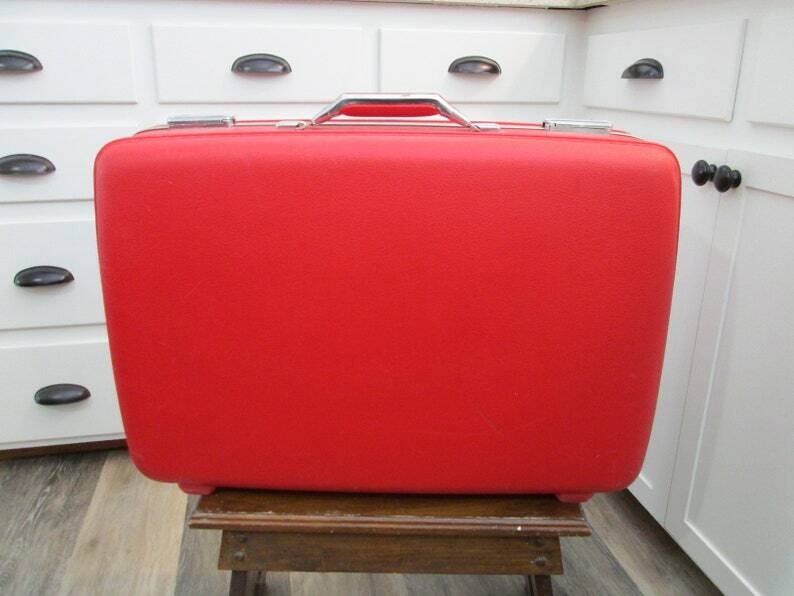 Vintage American Tourister suitcase with key in a fabulous RED on the outside and a very feminine silky quilted flowery on the inside. There are initials on the front KJB. The inside of the suitcase has two detachable pouches and satin ties. This measures approximately 24 by 16 1/2 by 7 inches. There are a few scrapes and marks on the outside and a water stain on the inside bottom. Please review all photos carefully, as they are part of the description. I do my best to describe any imperfections or damage, but like all vintage items, some wear is expected.